At Cnano we are always interested in developing innovative custom solutions to meet our clients’ particular requirements and specifications. Our proved experience in delivering prototyping solutions in surface finishing area and nano-chemistry ensures the formulation/fabrication of a cost-effective, easily adaptable, tailor-made process that addresses your unique operational needs. 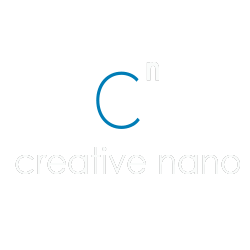 Cnano’s fully equipped laboratory can provide accelerated, small scale prototype productions in order to test and optimize metal and nanocomposite coatings as well as nanoparticles production, specifically designed for each our client’s needs. Our coating solutions are suitable for applications covering a wide range of industries including automotive, aerospace, oil and gas, decorative, electronics and semiconductors, medical and dental, to name a few. Apart from achieving the desired performance, the equally substantial benefit of reducing costs by minimizing production errors, product defects and waste generation is also attainable through our prototyping process. Contact us today to learn more about our services.